Photo: ©2012 Sylvia Elzafon Photography. 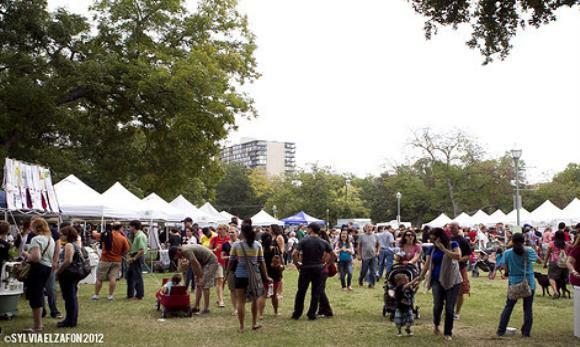 Accoding to the event website the 4th annual Texas Veggie Fair is SUNDAY OCTOBER 20 2013 in Dallas, Texas at Reverchon Park. The event is Free and open to the public. There will be food, products, live music, speakers, games, activities and information which celebrate choices that do not inflict pain and destruction to animals, people or planet. Last year's Fair saw over 5000 attendees. Kid and dog friendly.